My next conversation is with a World Champion! Terri Holowath attained the title in 2015, winning every event she and her horse Jade (Red Hot Jade) entered in the National Reined Cow Horse Association Tour (NRCHA). Not bad for a part-time rider in the non-pro two rein working cow horse category. Her other full-time position, Managing Partner/CEO with Catalyst LLP in south Calgary, Alberta. This interview is a slight deviation from my conversations with leaders about what they have learned from a life with horses. 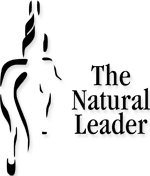 Simply because every once in a while something worth sharing happens in The Natural Leader programs. Aside from the odd trail ride, Steve’s experience with horses is not a whole lot broader than the day he spent with us. What showed up for for Steve that day speaks to the power of leadership learning through horsemanship. Is it a question of trust? News feeds have been all a buzz about Melisa Mayer’s recent decision to eliminate remote work at Yahoo. As I write, one online poll suggests people are evenly split as to whether they agree with Mayer or not. The comments are full of strongly differing opinions, so one could say the decision is an emotional issue! Some sources state her decision was based on a tendency to use statistics, that she had been monitoring remote workers VPN access. Other sources say it’s simply an effort to strengthen the brand and reposition Yahoo for the mobile generation. Having worked at one of those upstart internet companies I have a sense of the work. People all over the globe could be part of a team. VPN access could only be a small part of the real issue as much work is done on a local machine, uploading data/code to the main server as needed. I understand the Yahoo decision isn’t a gender issue though I can’t say I see Mayer’s perspective. Today’s Business Insider says it’s about culture so perhaps a change in work habits is required. A culture is defined by its leader, the foundation of leadership is trust. I may not know what it is to run a company like Yahoo but I am familiar with what it takes to trust others. For them to do their best, I have to trust myself first. I’ve started enough colts now to see the connection between how I react to what is offered. Each colt may test me in a different way but it always comes down to how I respond. I admit sometimes it gets a little scary and yes my emotions can get the better of me, but if I don’t trust myself first, there is no way the colt will trust me. You can’t fake trust, or at least I have to admit to the fact that the colt will see it, if that shows up then I certainly have to be prepared for the worst. I can only hope that Mayer is able to rebuild trust enough to change the culture she suggests is the problem with Yahoo. So yes, it now is a matter of trust. We all know someone who professes to love what they do. They are passionate about getting up every day and going to work, they view a day at the office as simply another opportunity. While my office may look a bit different, I am fortunate to include myself in that group. Loving what you do isn’t always easy and I am the first to admit that I now understand why people get jobs! Acknowledging my excitement at signing on a client for a series of sessions this year, a friend responded with “it’s only taken you eight years to become an overnight sensation.” I had to laugh at the absolute truth! No wonder so many people give up on their dream of their own business within the first five years, it is hard work and often without a lot of immediate returns. While the returns might not be immediate, the benefits are many. Others who start a business typically pick up a past employer as a first contract, what I realised is the seven years prior to me leaving a job were focused on clients in the U.S. and Europe so my local contacts were very limited. That required me to step outside my comfort zone and get out to meet people. Past strangers I now call friends. I have learned more in the past eight years than my formal schooling years in total. And it’s all been relevant! While I have always been pretty good at setting goals, managing time and completing activities, the reasons I fit so well into the role of managing programs. That skill has proven itself over in spades as I am not waiting for someone else to do something for me, but I am getting better at hiring others who will do certain things quicker than I.
I have learned so much about myself that it truly helps in how I connect and communicate with others and of that I am still learning. That knowledge continues to enhance my leadership and my horsemanship. Leadership and horsemanship it’s all the same to me and my job now is to help others see where the parallels lie for them. You can cover a lot of topics in a six hour drive, it was however a conversation about risk that has lingered. The idea that something to be avoided by one individual is fuel for desire in another. I previously explored the notion of intrinsic or extrinsic reward in The Motivation to Change recognising that which motivates one individual might not apply to another. Risk taking has both intrinsic and extrinsic value. The ability to take a risk is always identified as an important leadership quality, yet it is more often than not viewed in a negative light. Our capacity to see the opportunity in risk is defined by our personality, emotional strength, experience and our resilience. Managing risk successfully is a fine balance of all those qualities, lacking one or more can give us an over inflated view of our abilities resulting in risky behaviour. It was the latter condition that was of concern for my traveling companion, Bette. The founder of Highbanks Society, Bette works with young mothers who may be there because of risky behaviour. Bette feels the challenge guiding young moms to make better decisions and see the consequences of their actions. It was especially poignant for Bette as one graduate of their program had taken on a job as a bicycle courier in downtown Calgary. The young girl had only seen the opportunity in taking the risk not evaluating the cost of the risk as it related to being a mother, Bette was reflecting on all the life experience that suggested otherwise. The older we are the more we rely on our experiences and what we have learned through them. A challenge I have often heard in working with younger people is simply they have yet to benefit from experience and the learning that can come from it. Recognising some personalities are drawn to the risk of experience more than others and providing an outlet for it is the basis of experiential learning programs. Providing a supportive environment for experimentation, reflection, adjustment and repetition is where we learn what our capacity and resilience for risk is. Experiential learning is also the foundation for leadership and team learning programs with horses. Risk and opportunity are two things that go hand in hand working with horses. However, horses make it very clear that when you step too far outside our own comfort zone they rarely are willing to pick up the slack. Knowing how far you can go to push the boundary is where change happens, where the idea of taking a risk becomes a reward in itself.